Brendan Rodgers' assessment of Liverpool's exit from the Europa League included saying: "We lost the battle, but the war going forward will very much be won if we keep performing like that." Strange that he makes no mention of going over the top. Basingstoke is an unusually beautiful town, with its steep, plunging public gardens, wonderfully rococo civic architecture and shadowy valleys of cypress tree – not to mention of course the fabled Palace of Mirrors, pedestrianised shopping centre and the AA headquarters. But Basingstoke is, above all, crowded. Fitting, then, that the town’s football team should depict on its crest the likeness of St Ignaia, Christian martyr and patron saint of hoarders. In the image we see St Ignaia sailing across a river on her jolly boat, escaping her Roman pursuers, but not exactly travelling light. "Drogheda United's stadium name contains the title of a David Bowie LP. I hope it gets a regular airing before each home game." Does someone at ESPN have it in for Moussa Sissoko? They could surely have found a more flattering profile photo." "Laudable stuff from Aston Villa. But I hope they'll factor in next season's increased travel requirements with the extra away games in the Championship." Just in case you haven't seen this yet; a Coventry City fan sounds off about a supposed goalless draw at Crewe in the Johnstone's Paint Trophy on Wednesday – only to be told they won 2-0. "Derby 0-0 Wolves was hardly a classic so it gave Birmingham Mail reporter Bill Howell plenty of time to fill in the gaps where football should have been by waxing lyrical, in a way." An unusual Corinthian figure set here. 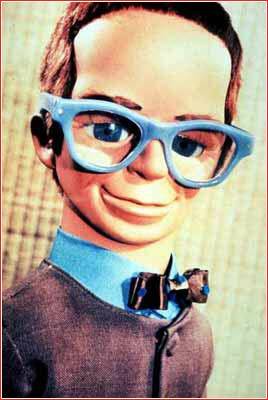 As Arsène Wenger looks on incredulously, Martin O'Neill transforms himself into Brains from Thunderbirds. Relegated from the Premier League the previous season, Colin Todd's Bolton would be Division One champions by 18 points. They took three years to get back after going down again in 1997-98. Central defenders Gerry Taggart and Chris Fairclough were the scorers at Huddersfield. Striker John McGinlay was the division's top scorer with 24 goals, one ahead of Wolves' Steve Bull. Bull was among the scorers in the promotion clash at Barnsley but the home side, managed by Danny Wilson, went on to take second place by four points. Neil Redfearn, who was to make over 900 League appearances, was their top scorer with 17. His team-mates included Dutch defender Arjan de Zeeuw, now a qualified doctor, winger John Hendrie, a future Barnsley manager, and England Under-21 keeper David Watson, who had to retire two years later aged 25. Third-placed Wolves lost in the play-off semi-finals to Crystal Palace. In the other tie, Sheffield United beat Ipswich, who were to lose in the next two play-off semis before beating Barnsley in the 2000 final. At Wembley a goal by midfielder David Hopkin took Palace – managed by Steve Coppell for a third time – into the Premier League. In March 1998, with the team struggling, Coppell was made director of football by new owner Mark Goldberg but caretaker-manager Attilio Lombardo was unable to prevent relegation. The bottom three at this stage all went down, but in a different order. Southend ended a run of five seasons at the second level by finishing bottom, taking just seven points from their final 15 games. Oldham went down after losing at Reading in their penultimate match. Their goal in the defeat by Bradford was scored by Ian Ormondroyd, one of the first exceptionally tall strikers at 6ft 5in. Grimsby went down on the final day despite beating Southend 4-0 as their rivals Bradford City also won, 3-0 against QPR, and stayed up by two points. Bradford manager Chris Kamara left to join Stoke in January 1998; his successor, Paul Jewell, took the club into the Premier League the following season. Brentford boss Uwe Rösler was one of the scorers in Manchester City's 3-0 defeat of Swindon. Other current managers playing this week were Bolton's Dougie Freedman (Crystal Palace) and Blackburn's Michael Appleton (Grimsby). Notable names in action included Chris Waddle (Bradford), David Rocastle and Danny Mills (Norwich) and Jan-Age Fjortoft, who scored a hat-trick for Sheffield United.